The College of Health Sciences has funded nine undergraduate proposals to identify important health-related challenges and develop novel solutions to those challenges. 8:23 a.m., Oct. 23, 2012--Global hunger. Childhood obesity. Teen pregnancy and parenting. These are all big issues in the health arena, but some innovative undergraduates in the University of Delaware College of Health Sciences (CHS) are thinking big and have proposed solutions to these challenges through the First Step Program. In August, CHS launched First Step to encourage its undergraduate students  as individuals or in teams  to submit proposals aimed at identifying important challenges in health care and developing revolutionary solutions to those challenges. Kelsey Bristow – “Online Resource Center for Pregnant and Parenting Teens in Delaware” provides a resource for teenage mothers to identify support services. Kevin Change, Mitali Desai, and Annie Sanger – “Helping Students Lead Healthier Lives: UDiet” proffers a novel tool to assess caloric content in food. Michelle Francis and Angelica Montes – “Improving the Delivery of Patient Critical Laboratory Results to Physicians” helps bridge the gap in lab result reporting. Ariana Haidari and Dana Sivak – “Play with Your Food: An Interactive Approach to Bridging the Nutritional Information Gap in Children,” deals with childhood obesity and innovative ways to combat this trend. Chelsea Hollowell – “Planting Herbs in a Food Desert,” details the health plight of the Cheyenne River Sioux and provides an inspired solution. Jacob Joseph, Allison Morris, Daniel Reyes and Jaewoong Yoo – This group will address the Haiti food plight and steps needed to alleviate food insecurity. Ryan Locke – “Biomedical Engineering Physical Therapy” discusses biomechanical innovation in the physical therapy world. Celeste Richards – “Bringing Life to the Food Desert” confronts the dearth of grocery stores and healthy food choices in urban neighborhoods. Marta Shakhazizian – “Junk Kills” shows the power of imagery in forming eating habits. The students now have six months to actualize their ideas before submitting a written report and presenting the results to a faculty committee. This review committee will evaluate the solutions and select the top three based on (1) significance of the problem addressed, (2) innovation, and (3) the practical ability to develop the idea and apply the solution to real-world problems. Each team will create a poster for a public symposium on Friday, April 5, 2013, and students submitting the top three projects will summarize their results at the symposium. Prizes will then be awarded for first place ($1,500), second place ($1,000), and third place ($500). After the awards, the winners will have the chance to interact with experts to help them understand how to implement or grow the project further. Students may choose to develop these ideas in undergraduate or graduate training programs or in the private sector. 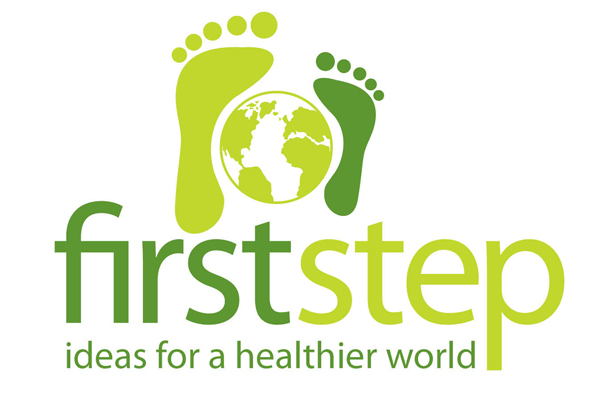 For more information about First Step, visit the website.